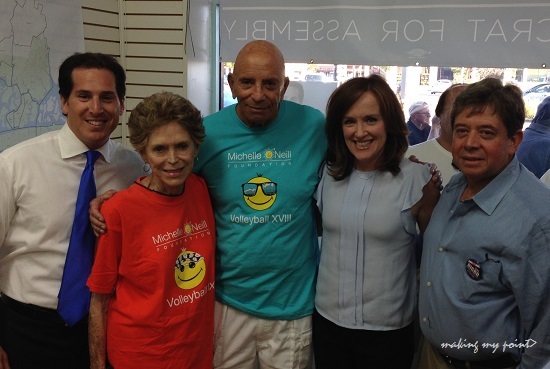 Todd Kaminsky, Ellen Weisenberg, Assemblyman Harvey Weisenberg, District Attorney and Congressional Candidate Kathleen Rice, and Long Beach Judicial Candidate Scott Nigro at the Todd Kaminsky Campaign office. 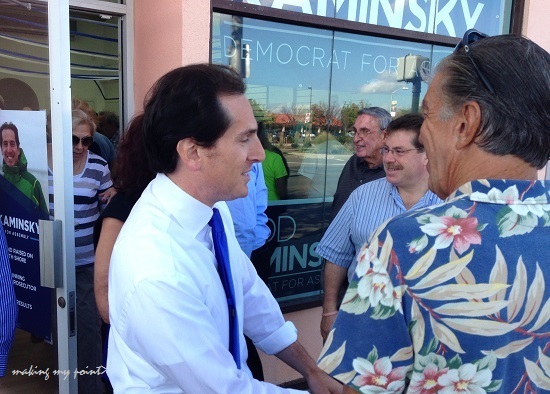 With the retirement of our Assemblyman leaving a vacant seat in our district, I sat down with State Assembly candidate, Todd Kaminsky at The Point Ale House, to find out what his campaign is about. You are endorsed by retiring Assemblyman Harvey Weisenberg. What has your background been to this point? How do you think that will help you in this position if elected? Is there anything that can be done at the state level to help the situation with the hospital? With the power split being so close in Albany, and who knows who will actually work within each party anyway, are there issues that you can work across the aisle on? Is there any driving issue for you? “878 [road north of Atlantic Beach Bridge] and it’s terrible condition is a huge issue . Id love … to move that project forward. Getting people back into their homes after Sandy. I’m sure my office will be dealing with constituents’ cases with NY Rising every day. Making sure that we have our infrastructure funding (so if) another storm comes we have protection. Our school funding goes down every year and our taxes are extremely high because of it and kids are getting shortchanged. The school boards have to keep cutting year after year so these cuts….pit community members against each other.” Like with East school this year. In all this campaigning is there anything that surprised you? Any other issues that don’t get the attention they should? People want their streets paved, they want their hospital and they want their schools and I appreciate that. I think the more we throw out the guys who have their hands in other people’s pockets or other peoples hands in their pockets … the better Albany we will have, and the better off we will be. What are your thoughts on the Environment, Fracking and Climate Change? “Harvey leaving is a big deal to a lot of environmentalists. He was…(for) protecting the water, protecting the beaches, so I want to fill that void. The city (NYC) wants to come … to drill into our water. We could have saltwater intrusion issues. Nobody has proven to me that fracking is safe. Until someone is able to prove that, overwhelmingly, I have grave doubts. I am going to do whatever I can to prevent it from happening. With respect to helping people protect the beaches, that’s who we are. The community is what makes Long Beach and it’s also hard to think of Long Beach, Point Lookout and Lido without the beach, and that’s what we have to protect first and foremost. To anybody standing in the way of helping us keep our sand and our beaches the way they are, I am going to be fighting left and right. I don’t want people to think I’m going to come in and start reordering the government, but I do believe that an Assemblyman who is willing to get in the face of the bureaucracy and push it along will matter, and that’s what I intend to do. The world is getting warmer if we don’t do anything we’re in trouble. It’s late and we need to get our act together. There are very small changes our communities could put together on a local level that will reduce our carbon footprint and make the world a little better. I’m all for doing everything from the smallest things to the big policy things. Making incentives for greener energy; my friend has a solar panel company and I’d like to help companies like his grow, and wind energy. All the alternatives are important. The days of us passing the buck on to the next generation have to stop. Point Lookout voting is at Bishop Molloy Rec Center. 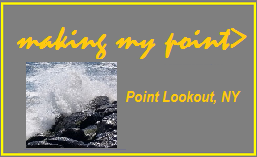 Thursday 10/30/14 is Point Lookout Civic Association’s “Meet the Candidates” night at Bishop Malloy Rec Center at 8:00 PM. With the last hints of summer in the air on a sunny Sunday in the City of Long Beach, over 400 rallied at Kennedy Plaza to demand officials bring a hospital back to Long Beach. 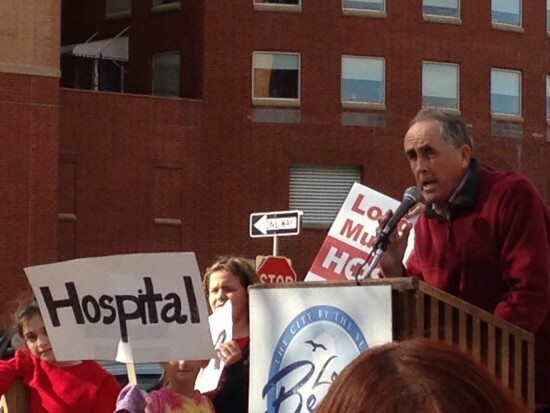 On Sunday October 26, 2014, Beach to Bay Central Council of Civic Associations brought together over a dozen local leaders who advocated for a new hospital. 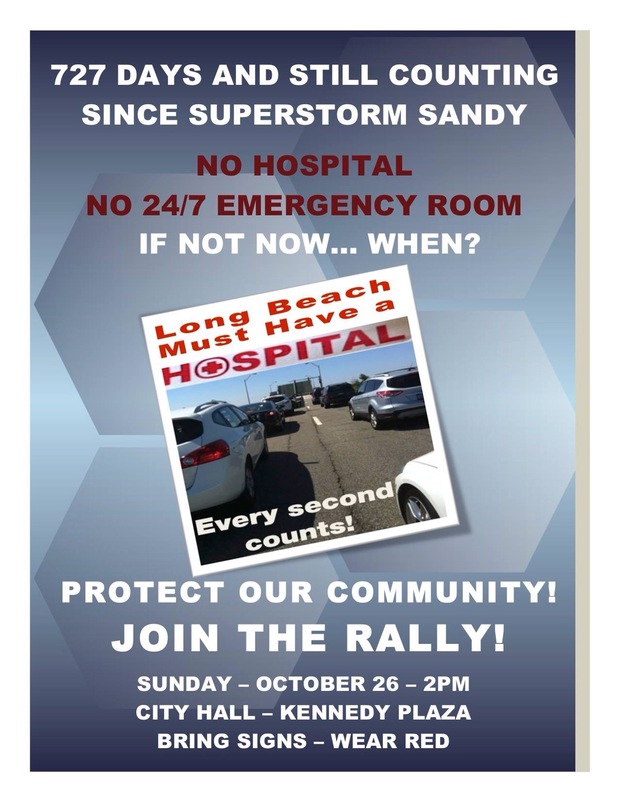 Long Beach Medical Center was lost to Sandy. Since, a inexplicable bureaucratic nightmare has ensued, and ensured that Long Beach still remains without a hospital. Dennis Ryan, Ph.D., current Long Beach School Board Trustee, pictured above, spoke of stewardship of the community. He said “It is important to pass on the community that we’ve received to the next generation”. “I’m amazed why we need these (“Long Beach Needs A Hospital”) signs. It was a bureaucratic and political” decision to close it. Even though it is 2 years later and $170 million is in play for its return, that money was given with seemingly no real assurances of what will be rebuilt. 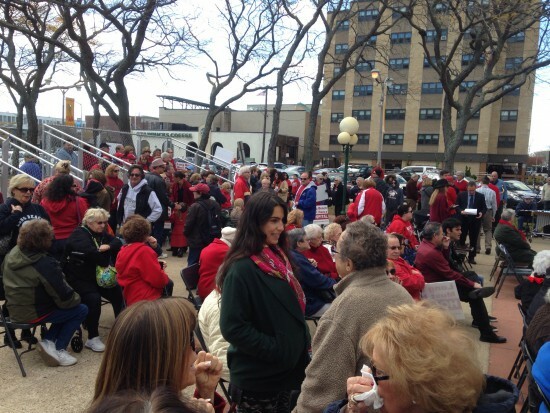 Concerns are running high that there is no requirement of South Nassau Communities Hospital to spend any of the money in Long Beach if they so choose. This seems to be true. 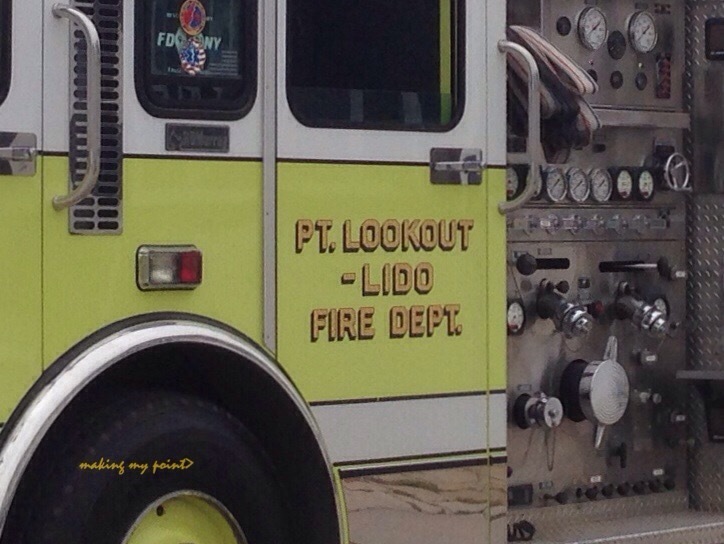 Lido and Point Lookout Fire Commissioner Chas Thompson highlighted the dangers posed for residents when his ambulance travels the extra time all the way to Northern Oceanside. That round trip for their department has become nearly 2 hours of unavailability if a second call comes in. Barbara Bernardino summed up the sentiment of many residents: “if South Nassau cannot open a hospital here, return the money and move on. It is only fair. The state has been a big part of the problem it’s time for them to be part of the solution”. Kerry DiStefano of the PTA sums it up best: “We call on our elected officials to push through the red tape”. 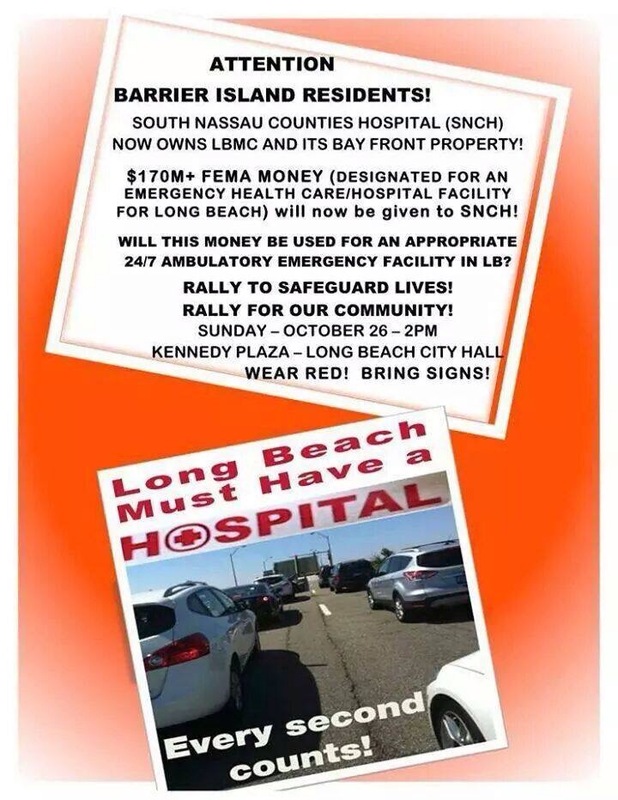 Residents are urged to join neighbors at Long Beach City Hall / Kennedy Plaza, wear red, bring signs and make sure the $170 million in FEMA funds is used to give our community back a full service hospital with 24/7 emergency room. Hempstead Town Supervisor Kate Murray and members of the Town Board honored local volunteer first responders at Hempstead Town Hall’s Nathan L. H. Bennett Pavilion during the 2014 Firematic Awards Ceremony. Thirty-one individuals were honored with a Town of Hempstead Firematic Award for their courage and service to their communities and dedication to protecting neighbors. Some of this year’s recipients were honored for heroic rescues and courageous deeds, while others were saluted for decades of services to their departments and their communities. One of the honorees celebrated played a pivotal role in safeguarding lives and property in the wake of a dramatic oil tanker crash and explosion that occurred along Sunrise Highway in Bellmore this past December. A group of honorees incorporated teamwork into two dramatic rescues that saved the lives of two residents. Firefighter Philip J. Smith Jr.
Firefighter Joseph R. Milone, Jr.